March 12, 2019, 9:01 a.m.
Plus: The latest podcast-listening statistics, podcaster burnout, and messes and misconduct. By Nicholas Quah March 12, 2019, 9:01 a.m. Welcome to Hot Pod, a newsletter about podcasts. This is issue 199, published March 12, 2019. 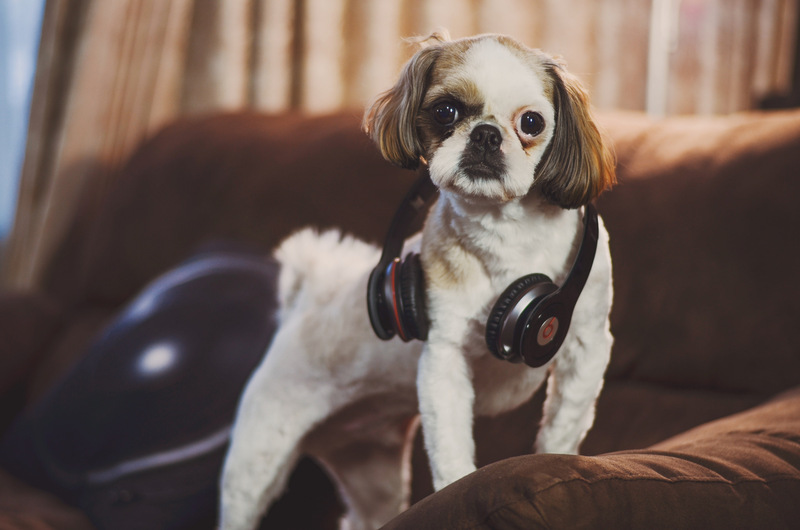 This one’s really interesting: more than half (53 percent) of monthly Spotify users aged 12-24 report being monthly podcast listeners, up from 32 percent last year. This means only good things for Spotify. Podcasting grew slightly as the “audio source used most often in the car” — now at four percent, up from three percent last year. In contrast, AM/FM radio is now 52 percent, down from 56 percent last year. In a few years, I reckon we’re going to look back at the top of 2019 as a particularly interesting moment in, uh, ~podcast history~. Probably not as “the moment podcast actually became mainstream” or some debilitating PR-speak like that, but something more subtle, cultural. In my mind, this moment feels like the end of an era that began in the fall of 2014: when we were first introduced to Serial, when we saw a new generation of people and companies start up their bids to figure this space out, and, most importantly, when podcasting’s ideological tenets (open publishing, freedom, etc.) were still at the center of its narrative of growth. We’ve seen acquisitions, cash-outs, pivots, reshuffles, the first batch of proper podcast celebrities. And though I’m sure we’re not done seeing all there is to see from this generation, it does very much feel as if the space is now transitioning to a whole new beat. Let me put it this way: the companies of the previous era were largely founded without definitive evidence that you could build a considerable business in this space. Now there is evidence that money’s coming in, and everybody else knows it too. We’ve seen versions of this story many times before: in music, in video games, in comic books, in cool neighborhoods, in hip smaller cities (R.I.P. Austin), in everything that’s ever meant anything to anybody that may also be cool to other people too. What generally happens next is happening already: preexisting power moves in, catalyzing a long struggle over identity. Luminary has $100 million, some top talent, and a mission to make you pay for podcasts. Can it pull it off? Podcasting firmly lives in this identity struggle now. For what it’s worth, I always thought we were going to get to this point eventually, though I was perhaps a few years too early. There will be more Luminaries, there will be more money, there will be more people and capital and power that wants a piece of this pie. Who knows what any of this will look like at the end of this new era. In any case, the adolescent days are over. Responses to “Burnout” [by Caroline Crampton]. The piece we ran about podcaster burnout in last Tuesday’s Hot Pod has given me the busiest inbox of anything I’ve done in this newsletter. I had dozens of responses, mostly from podcast producers, occasionally from podcast listeners, who had feelings about this topic. As I read and engaged with the messages, I noticed a few common themes that came up repeatedly. Since the subject clearly vibed with so many Hot Pod readers, I want to spend some time examining these recurring subjects and see what we can learn from them. I’m also now running a survey to gather more information about this, which you can fill out here — more on that later. Broadly, the responses came into two forms. The first were written from a place of empathy: producers who got in touch to say that they recognized much of what my interviewees in the first piece had said, and to volunteer additional details from their own experiences. Most preferred not to be quoted directly, but they collectively spoke to me about sleepless nights and listless days, about feeling paralyzed by the sheer amount of work before them, and about suffering in silence because it felt impossible to be open about the difficulties they were experiencing. In relation to this last point, several said additionally that they were glad to see the issue being raised in this newsletter. Greater awareness of this problem among non-producers (e.g. network execs, bosses, those in advertising) could lead to changes in how deals and schedules are structured that might help in the future, some said. Or at least empower more people to ask for what they need to avoid burnout. This feeling was especially prevalent amongst those I spoke to who were or had started out independently, or had hustled their way into a big organization via a less traditional route. Having worked very hard, sometimes for years, to make their dream of producing their show or shows into a full-time paying gig, some then found themselves unable to admit that the conditions under which it had come true were what was causing their burnout. This came up at both ends of the scale, too — both with independent producers who had just gone full-time on their own projects, and with much bigger shows that were scaling up and adding more staff, only for the original producer(s) to feel as if they were unable to delegate and had to work harder than ever. This is tied to something I wrote about last year, I think, when I explored the persistent notion that there are “low barriers to entry” in podcasting. (TL;DR: in some basic technical ways, this is true, but in some larger structural ways, it is not true.) There is this fairytale notion that if you have a good idea and work hard at it, your hard-earned pots of gold and rainbows will be waiting for you on the other side. But what if the podcast you loved making as a side hustle is too much to handle on your own when it becomes your full-time job? Feeling trapped and burned out by the very thing you’ve worked towards for years is a grim and lonely sensation. Thau’s situation is far from a unique one, but she is perhaps unusual in that she’s chosen to be fairly public and open about what’s she’s been through. Strangers was a founding member of Radiotopia in 2014, but in at the end of 2017, Thau left the collective with plans to resume production on Strangers independently after two months. That self-imposed deadline came and went and she still wasn’t ready. “In March of last year, I posted a weepy update I’d recorded in my backyard, simply called ‘Hi’, where I leveled with the listeners about my burnout and told them I needed more time,” she said. “That’s a year ago this month, and I’m only just now getting ready to come back.” She had over a thousand positive messages of support after this update went out, and listeners have been staying in touch over Facebook. During the hiatus, she’s done some consulting work, but used the freedom from a production schedule to “stop running, and turn around to deal with my issues instead.” Her current plan is for Strangers to return in April. Finally, a popular topic among those who got in touch to share their own stories of burnout was strategies that can help a producer avoid it. Some of them were small but practical, such as not being afraid to rerun an old episode to create a bit of air in a busy production schedule or delegate vital tasks to helpers. One of the more unusual ideas came from Alex Kaufman of the Wintry Mix podcast, who is crowdfunding money for charity from his listeners as an incentive for him to keep going. One bigger strategy that came up regularly is one that speaks to a long-accepted shibboleth of podcasting: the need for consistency and regularity. For years now, it’s been the conventional wisdom that it’s easier to grow a show that puts out episodes on a set and continuous schedule, rather than publishing sporadically or in short-run seasons. Yet it’s precisely this former practice that so many cite as a major contributing factor in their burnout, because the revenue and resources they can command hasn’t kept pace with the industry’s demands in this regard. Lea Thau was one who felt strongly about this: “I don’t believe that’s true [about regularity and frequency],” she said. “When I’ve skipped an episode in order to do something bigger/longer/better for the next one, i’ve wound up with the same number of downloads as I had in months where I posted two episodes, because the listeners and the press paid attention and appreciated when I did something big and bold.” I feel like this is connected to Nick’s piece from last year about how to measure “success” for a short-run series — hopefully if more producers turn to this method of release, the market will find more monetization solutions for it. The second kind of response I got to the burnout piece surprised me; perhaps I am naive. I wasn’t expecting this to be a polarizing topic, but I heard from plenty of people who said they didn’t really believe in burnout, or felt that it was a podcaster’s duty, if they have any kind of platform or audience, to push through no matter what to get their show out. Some of these, who felt happy and successful themselves, were quick to offer up their own experiences as a precise template for those who I had quoted talking about their struggles, and not always in the most good-natured way. I don’t want to give a huge amount of space to this stuff. It’s inevitable, maybe. The aim with the survey is to back up some of these trends I’m observing from people’s individual testimonies with more data, so that I can begin to zoom in on certain areas of the industry or particular pain points where burnout is being experienced. I’d like there to be more information out in the open about this both to help those going through it, and to assist the decision makers who might have the influence to change some of the structures that are causing problems. Please take a couple of minutes to fill it out if that’s of interest to you, and I’ll report back with the results soon. Messes and misconduct. Over the weekend, Wondery Media announced that it was cutting ties with Sword and Scale, a true crime podcast, after creator Mike Boudet published a misogynistic Instagram post last Friday, which was also International Women’s Day. In the past, Boudet’s conduct has sparked a boycott within the true crime podcast community (and beyond), which included condemnation by Undisclosed’s Rabia Chaudry, Lore’s Aaron Mahnke, Snap Judgment’s Glynn Washington, and Crime Writers On… ‘s Rebecca Lavoie. The Sword and Scale creator appears to blame the boycott for Wondery’s decision to drop the show. First, a podcast as popular as his should never have to cease production. He has all the tools he needs to run it independently. Not my fault. Sword and Scale has a considerable following. The show has just under 15,000 backers on Patreon, and its Facebook group, to the extent that you can use it as a proxy, has over 100,000 likes and followers. Actual download numbers, of course, are hard to come by for specific shows, but I’ve heard talk of the show being a formidable audience driver, generating some substantial revenue as a result. With Wondery cutting ties, Boudet announced that he is exploring moving onto some sort of custom platform, where new episodes will be released behind a paywall. This is a really messy situation, and it folds together a few different long-running issues about podcasting and digital media into one clump of controversy: open publishing and freedom of speech, freedom of speech versus freedom of reach (and, in this case, freedom of monetization), the moral responsibilities of businesses and advertising, the cost of low barriers to entry and a decentralized world — all of which we’ve seen play themselves out before, most recently in the deplatforming of Alex Jones episode from last summer. But in many ways, it isn’t that messy at all. Certain conduct incurs natural costs, and this is an expression of that. Wondery’s move to cut Sword and Scale comes as the Los Angeles-based company fronts a campaign to take over the prime “Podcast-to-Television Pipeline” narrative, now that Gimlet’s been gobbled up into Spotify. You can see that play out in recent pieces by Fast Company, The Wrap, and KPCC, rolling off the news peg of the company having auctioned off the IP for another podcast, Over My Dead Body. Brace for a similarly themed story. Earlier this month, Miel Bredouw, the LA-based comedian and co-host of Punch Up The Jam, published a Twitter thread that made public a protracted episode in which she was systematically harassed by Barstool Sports, the digital media company that often trades in controversy, after she filed a DMCA notice against it for re-posting an old video of hers without credit. In exchange for rescinding a Digital Media Copyright Act violation she filed in December, after Barstool’s 1.47 million follower-strong Twitter account shamelessly reposted a video she created over two years ago, Bredouw was informed she could obtain items like a skimpy women’s thong with “degrade me” plastered across the front…When she didn’t respond to the site’s escalating offers, a slew of Barstool accounts bombarded every email address and social media account she owned, to the point where she had to shut down multiple points of contact. Despite making it clear from the beginning that she had no desire to engage with Barstool — and she was under no legal obligation to do so — the situation eventually reached the point where Barstool’s general counsel dangled $2,000. In the end, Barstool filed a counter-notification claim with Twitter, forcing her to choose between filing for an injunction and spending a good amount of money and time standing up for her rights, or letting the satirical men’s sports and lifestyle blog slide. Currently valued above $100 million following a $15 million raise from The Chernin Group last January, Barstool Sports is additionally a prominent podcast publisher that reportedly brought in more than $15 million last year, per Digiday. Certain conduct incurs natural costs, or should. But some, alas, are more insulated from those costs than others. WBUR general manager Charlie Kravetz is leaving the station. The development was announced an all-hands meeting with staff on Monday. It also comes on WBUR podcast chief Jessica Alpert’s last day at the organization; she’s leaving to start a new independent studio with John Perotti, called Rococo Punch. With the 2020 presidential elections around the corner — oh dear god, I’m already tired — NBC News and MSNBC are said to be beefing up their podcast team to tackle the cycle. Executive producer of podcasts Steve Lickteig, formerly of Slate, tells Digiday that his team could grow to 10 people, up from two, by the end of the year. (Looks like he just made a new hire yesterday, too.) Flashback to the 2016 season, where election and political podcasts rode a true, if not somewhat complicated, wave. TechCrunch: “Spotify announces expanded Samsung partnership focused on pre-installs and free trials.” Hmm. This American Life’s Shortcut — the digital tool, developed by Feel Train in collaboration with TAL alum Stephanie Foo, that allows podcast publishers to snip out favored moments within a podcast episode to be shared out across social media — has now been made easily usable by any audio publisher. Open source, baby! Check it out. Speaking of This American Life: Serial co-creator and executive producer Julie Snyder is now also a “producer-at-large” for a new “music podcast label” called Signal Co. No. 1, which will also count Radiolab co-founder Mikel Ellcessor in its ranks. Again, Billboard has the report. Some readers took the report to mean that Snyder is leaving Serial Productions for the gig. This is not the case. The team tells me that it’s a side-gig. Photo by strakt7 used under a Creative Commons license. POSTED March 12, 2019, 9:01 a.m.
Quah, Nicholas. "The podcast industry is growing out of its teen years — and facing a new identity struggle." Nieman Journalism Lab. Nieman Foundation for Journalism at Harvard, 12 Mar. 2019. Web. 24 Apr. 2019. Quah, Nicholas. "The podcast industry is growing out of its teen years — and facing a new identity struggle." Nieman Journalism Lab. Last modified March 12, 2019. Accessed April 24, 2019. https://www.niemanlab.org/2019/03/podcast-is-growing-out-of-its-teen-years-and-facing-a-new-identity-struggle/. Three editions of the Mueller Report are Amazon bestsellers. How do they stack up? 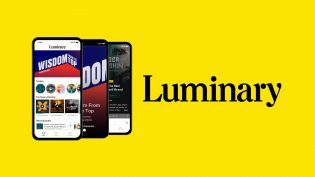 Luminary gets pushback from Spotify and The New York Times: temporary glitch or the real start of the platform wars? Plus: Gimlet gets a union, a new podcast incubator, and Mueller Mueller everywhere. The podcast audience is proving to be catnip for Democratic politicians, especially those hoping to keep it 1600 come January 2021.